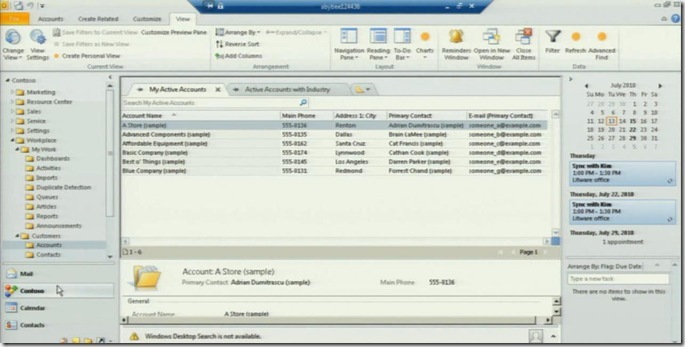 Guest blogger and CRM MVP Leon Tribe walks us through the Microsoft Dynamics CRM 2011 demo video. Leon blogs regularly at Leon’s CRM Musings. For those of you that don’t already know (you should be following my tweets, then you would). 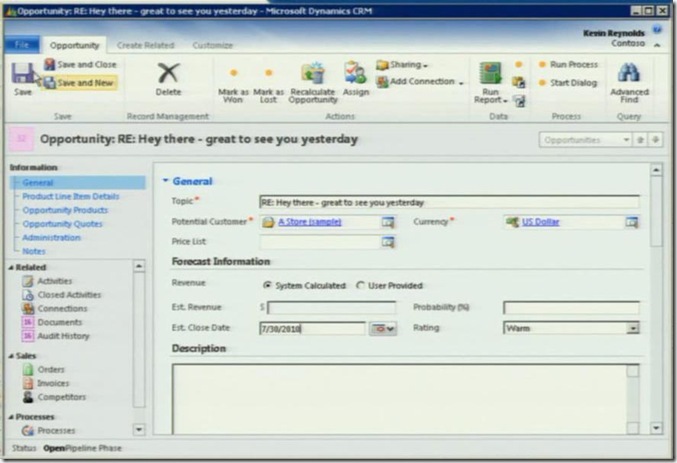 There is an hour-long video going through some of the key enhancements in CRM 2011 (the new name for version 5, pronounced twenty-eleven, like seven-eleven). What Bits Got Shown But They Didn’t Mention? As Andrew Bybee mentions in the video, he could spend another 6-8 hours going through the product it has so much CRM-goodness. I thought I’d have a closer look at some of the screens presented in the video to see what he didn’t have time to get to. We can mark as won or lost straight from the ribbon. does this mean no more un-editable popup box for closing? There are things called Connections and no more Relationships. Thankfully, Andrew opens up the Connections screen, although the role of ‘friend’ is not set up so he quickly moves on. It seems relationships has been converted to ‘Connections’ and given we can now set up a connection between an email and a user, it seems they’re a bit more generic than before where we could only set up relationships between Accounts, Contacts and Opportunities. We also have a start and end date on Connections if we want for relationships that don’t last. Andrew opened up a received email and the thing which I noticed was the ‘CRM Field’ bit on the ‘Show’ section. I cannot imagine what this would do. Does it somehow know the email contains words which came from a CRM database? 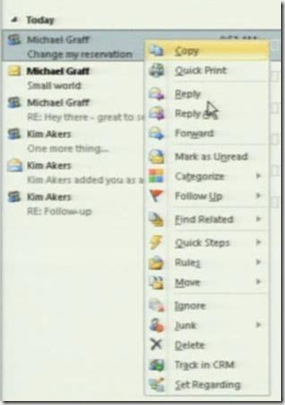 By deftly right-clicking on an email in Outlook, Andrew brought up the right-click menu. I noticed the Track in CRM and Set Regarding are now at the bottom. Noice. When we create a new email, Andrew showed us how to add an Article but we can also add Sales Literature. Finally we can make use of our document repository in CRM (just in time for it to be superseded by the Document feature). They no longer have CRM as a set of sub-folders within mail but have it separated out in its own section. Given the section is given the Organization name, perhaps we can have more than one Organization attached to the client now? 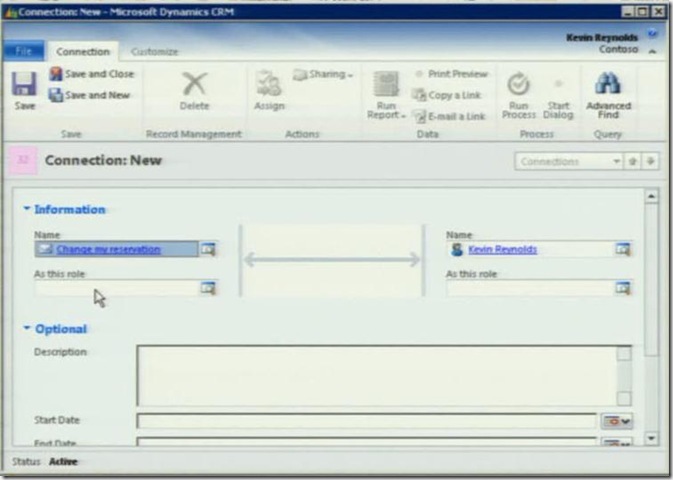 Dashboarding in CRM 2011 is very exciting. What is interesting is they seem to behave like views in that we can have system dashboards and our own dashboards. Looking at the buttons at the top we can also share our dashboards with other users or assign them. We can also set one as the default, suggesting a user-defined default dashboard when entering the area. The blue triangles are gone. No more preview panes? The one that stands out for me here is ‘Query CRM Data’. 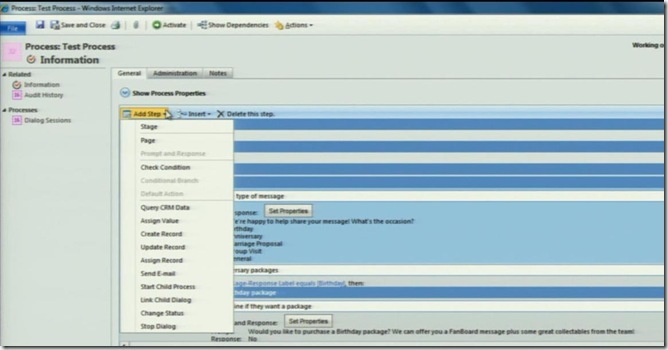 Can we get a response to our dialog and then use this to bring back a value from the CRM database? In Andrew’s customised solution he has an Activity Type of ‘FanBoard Message’. No more recycling Fax and Letter activities? It also seems we can add them to queues, promote them to responses and convert them to other entity types like we could the usual activities in version 4. 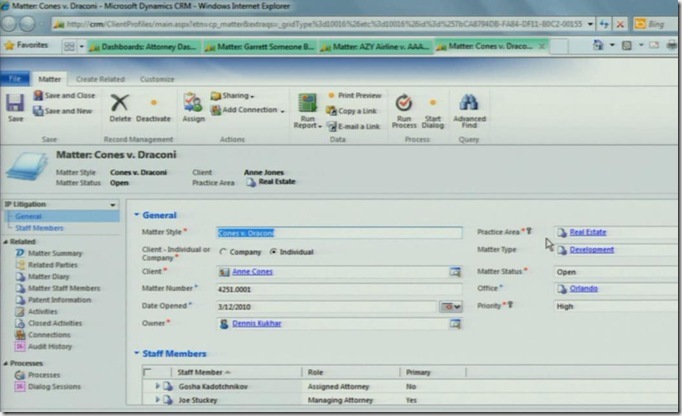 In the CRM4Legal solution we must tread carefully as there is code behind some of this but it appears that we can not only add pretty graphs to dashboards but also interactive grids. It could be simply a case of some clever jscript but the form allows for a lookup to a company or individual as the client on what appears to be a custom entity. 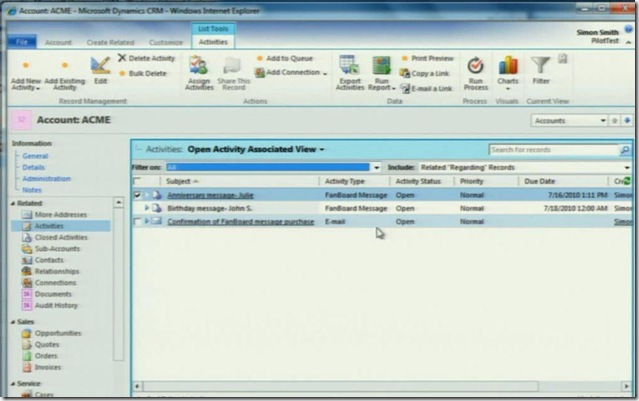 Could CRM 2011 allow us to use the customer lookup as part of our configurations? There is also a preview-like pane at the top of the record which repeats information seen in the form, must strange. The open beta is coming out in September and hopefully they will package it up as a VPN or put it online for us to play with. For me, it’s going to be like waiting for Christmas to come only it will be coming twice this year because Microsoft will also be bringing CRM Online to Australia at the end of the year! Perhaps I should get out more.